Spawning items in ARK has never been easier. Use our ARK: Survival Evolved Item ID list to quickly navigate through the game’s large amount of items. Search in realtime to find the exact ARK item ID you’re looking for, then copy and paste the code directly into your game console to spawn the item. Before you begin, you’ll need to enable cheats within your game or server. Click the button below to jump to your guide on setting that up. 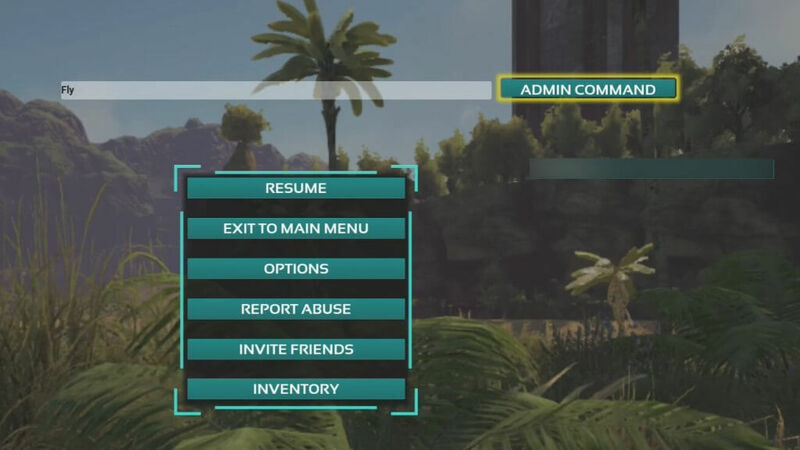 In order to spawn items for yourself in ARK, we will be making use of the GiveItemNum console command. Please keep in mind, you can copy a shorter GFI spawn code directly using our table. This is available to singeplayer games, and multiplayer servers if you have administrator rights. You can find more info about enabling admin rights in the next section of this guide. Firstly, we will need to open up the console. Here’s how it’s done on each platform. Press Tab again to open a larger version of the console. Navigate to the pause menu. Press the buttons LB + RB + X + Y simultaneously. Press the buttons R1 + L1 + Triangle + Square simultaneously. Now that you’ve found the console, let’s take a look at the syntax of the command. Description: Spawns the selected item of the specified quantity and quality into your inventory. <ItemID> – use the above list to the find the item you want to spawn and copy the item’s ID. Place it here. <Quantity> – select how many of this item you’d like to spawn. This must be a number between 1-200. Keep in mind that items have different stacking properties. If an item doesn’t support stacking at all, you will only receive one, even if you enter a higher value here. The game will not allow you to spawn an amount over the maximum stack limit. <Quality> – enter a value between 1-100. The higher the number, the better the quality. These range from primitive all the way up to ascendant quality. <Blueprint> – here you will choose whether you want the actual item, or its blueprint. Enter a value of 0 to receive the item, and a value of 1 to receive the blueprint. Before you can start spawning items, you’ll need to make sure you have the proper privileges to do so. This can easily be done with the use of a simple console command called EnableCheats. Follow the above guide to opening up the console on your platform. If you are in a singleplayer game, all you have to do is enter the command EnableCheats and you’re set! If in a multiplayer server, you will need to use the EnableCheats <password> syntax. For the password argument, simply enter the server’s password. Unsure of how to find this? Contact your server’s administrator. Data and images from ARK Wiki.